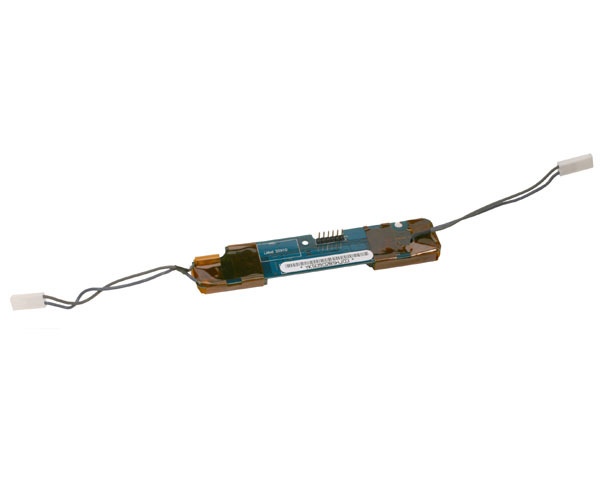 This is the original inverter board for the 1.8GHz or 2.0GHz ambient light sensor versions of the 17" iMac G5. Not suitable for the earlier non-ALS version of the 1.8GHz iMac. The board is mounted down the side of the LCD panel within the iMac display and powers the dual backlight tubes within the LCD.